Quality Inn & Suites South/Obetz features a cable TV and a coffee maker in every guest room. 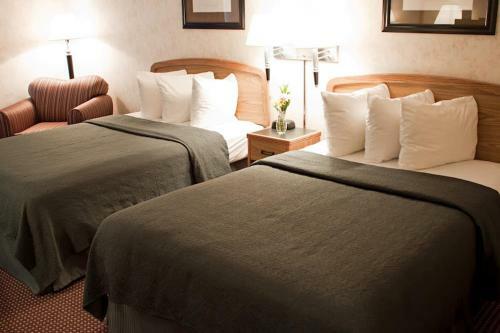 A gym and laundry facilities are available at the South/Obetz's Quality Inn & Suites. The hotel also offers copy and fax services. Downtown Columbus is 15 minutes from the property. The Ohio State University is 15 miles away. This room features a hairdryer, free toiletries and cable TV.